The desktop hasn’t changed much from Linux Mint 5. They still have the menu bar at the bottom. Same slick background. I did notice they now have Gnome Do. Gnome Do is a pretty neat technology that I hope to review a bit once I’ve played with it a little. Alright, time to see what this installation process is like. The first few questions were easy – language, timezone, keyboard. 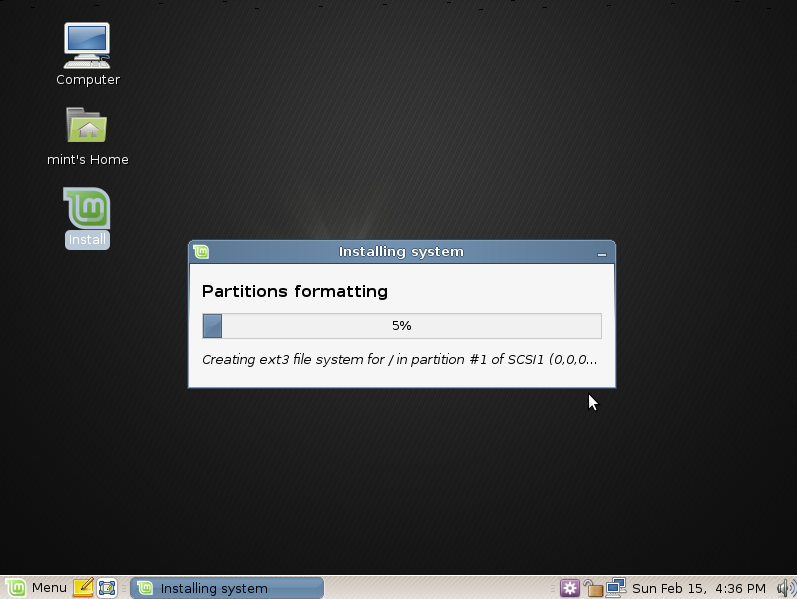 The partition screen looks pretty slick. Perhaps they’re using some Cairo there. I just went with the default. I think this screen should have had just a small text box saying what partitioning is and just a bit of an explanation. Someone who’s never done this before might be a little scared or nervous. The installation is pretty simple. No little ads or anything. Installation took about half an hour. Not too bad. About the same as any of the modern popular distros. After installation I had to reboot. The grub screen had a few options. and the boot up screen looks VERY nice. Much more elegant than Ubuntu. and, I really like the gdm greeter screen. Many kudos to the Linux Mint Art team. As this is my first boot, Linux Mint starts up a configuration wizard. 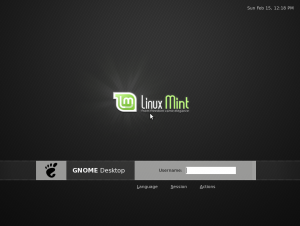 and now came a surprise that I thought was amazing and really made me like Linux Mint over Ubuntu. As a Fedora user, the whole sudo thing was very strange for me. It seems, to me, to be a security problem because you are requiring a cracker to know one less password in order to gain root access to your system. So I’m glad that Linux Mint allows you to enable the root account right at the beginning here while also doing a good job of explaining it for new users. It also asked if I wanted to enable fortunes. This is where I slag off Fedora because it annoyed me to find out that many other Linux distros and Unices were rewarding their users with a fortune whenever they opened the terminal, but Fedora wasn’t. Once I finally logged in, I checked out the applications. They appear to have the usual suspects – Firefox, Open Office.org, Pidgin, Xchat-Gnome, Tomboy, and Transmission for Bittorrent. I didn’t see Blender, so I decided to try and install it. I clicked on Software Manager. I had to do a refresh first. That took a few minutes 20-25 minutes. The program is what I picture the ideal Synaptic to be. 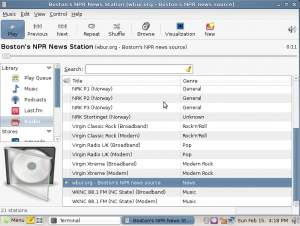 Synaptic, as you probably know, is the superb program installation application for Debian and Ubuntu (and probably some others based on Debian). It’s so good that Fedora is only now starting to catch up with PackageKit. But Mint takes Synaptic and adds some great features – screenshots and ratings! 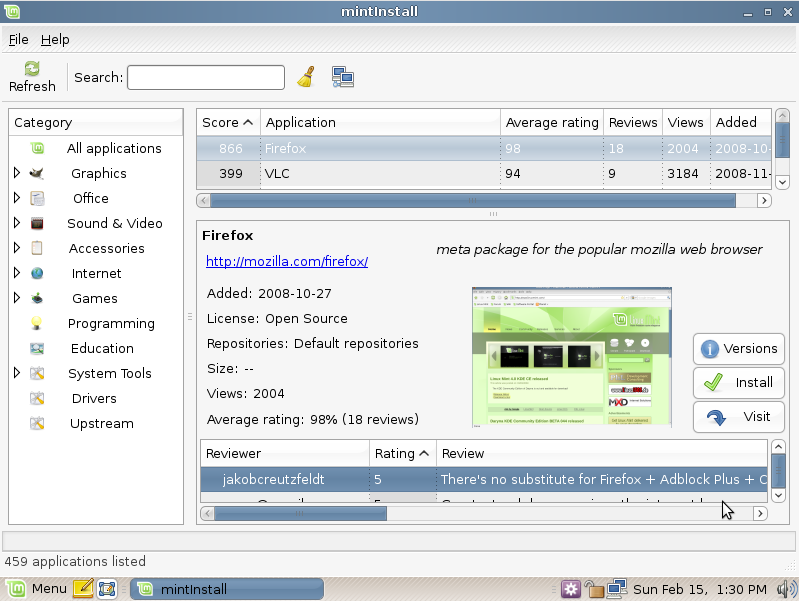 So if you’re trying to decide between different Web Browsers you can look at the ratings and take a look at the screenshots and get a good idea of what you want to install. 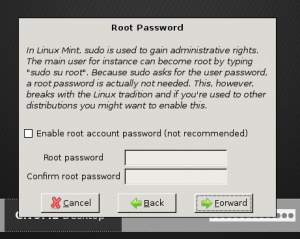 I hope that more distros steal port mintInstall to their distros. 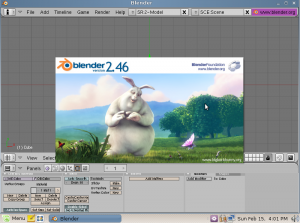 So there’s Blender and I go ahead and install it. 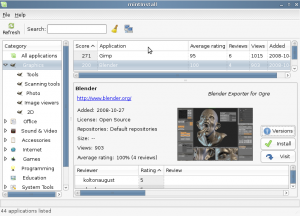 The only thing I don’t like is that it’s only listed as the Blender Exporter for Ogre. 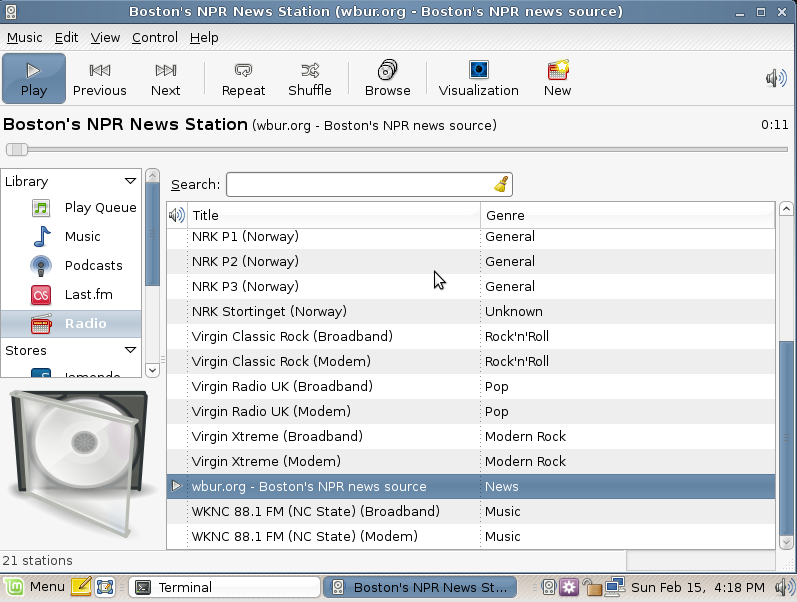 Audio worked perfectly fine – even in VirtualBox! I bought LXF myself on Friday and showed Linux Mint to one of my friends at college who usually uses Windows XP. He was really impressed with Linux Mint. Especially with being able delete the Synaptic folder from program files (which wouldn’t even delete in safe mode). He was also impressed with Transmission he said it had features not seen in uTorrent. And he liked the overall look of it too. It also helped that I was able to say it was an Irish distro, what with him being Irish and all. I’m an Ubuntu user myself, but Mint certainly seems an easier sell. Glad to hear that. Linux will probably never completely take over the computing world, but if we can get enough people to adopt it that the peripheral and game companies take it seriously, then we’d have a viable free desktop to use. Nice review. A few things to talk about. Mint Install has been around for a while so nothing new there. 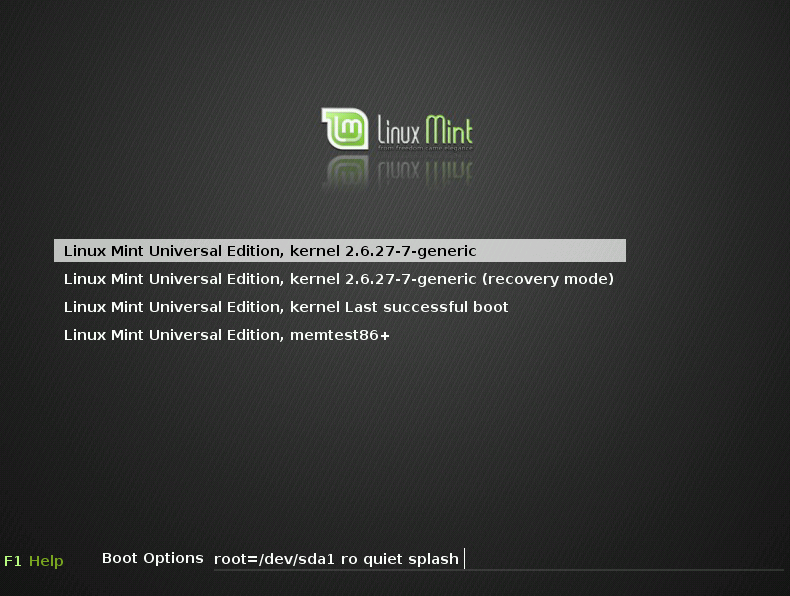 There are a few what I call problems with the package and update system that Mint has. Mint Update has its own repositories along with the Ubnutu ones. You can update using Mint Update and if you go to Synaptic It will want to do more updates than Mint wants you to do. I find that a little confusing for new users. 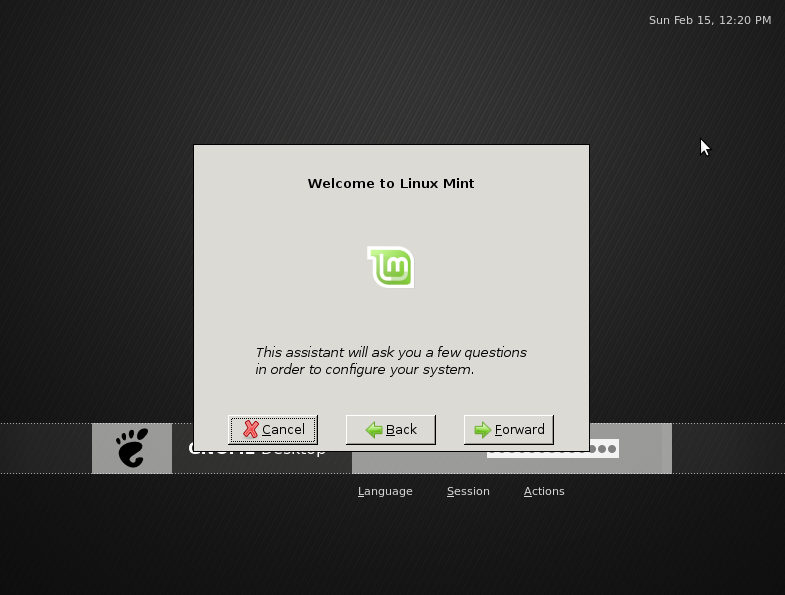 I don’t believe with having Mint Install and Mint Update that LInux Mint wants a person to go to Synaptic. Maybe new users don’t need to, but thats another story. Besides that, this is the best distro I’ve found for a new user if you want the Gnome manager. 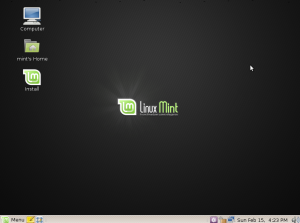 Soon the LinuxMint 6 KDE CE with Kde 4.2 will be coming out. It should be a great distro for new users who want the Kde manager. One more thing, if you like the standard Gnome setup on your desktop, the tasty menu system can be replaced with the standard Gnome one. I prefer the standard Gnome setup myself but thats just personal preference. 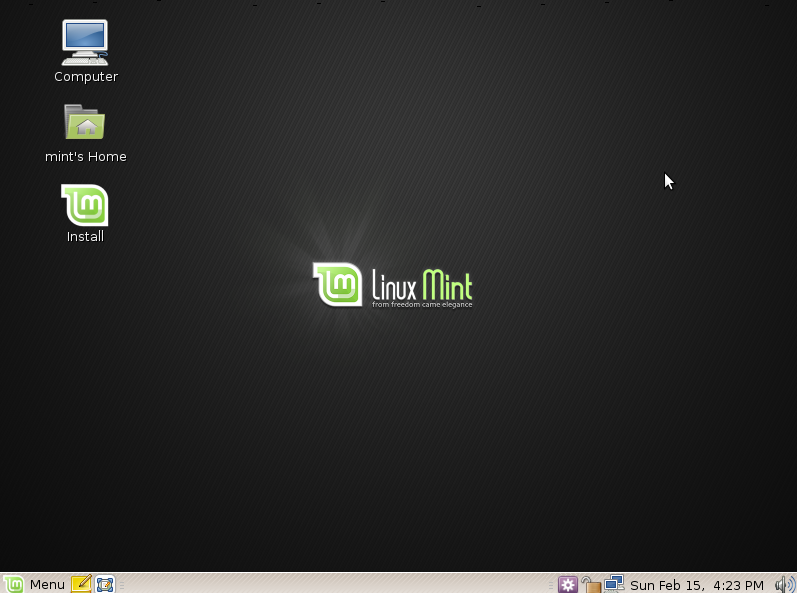 Overall LinuxMint 6 is a very fine distro that deserves to be in the top group of distributions. Somehow I missed mintInstall when I looked at Linux Mint 5 Light – perhaps because I only used it as a liveDVD. Thanks for the info on the KDE version. About Blender it is a great risk to have 2.49 since right now is still beta. The latest stable version is 2.48a and could be installed from http://www.getdeb.net, so no need to go fedora if this application is needed. Good info – thanks for the website. 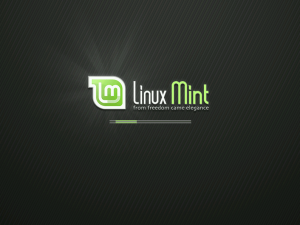 Soon after I started experimenting with Linux, I found Mint. It was great because as I was new to Linux, I had not yet learned the command line and its power. I could just login and enjoy a great Linux OS by relying on the GUI. As I learned more about Linux, I experimented with other distributions and became totally hooked. I have learned a lot in the past 2 years and it has been a ball! I no long use Mint, however, I probably will always have a special place in my heart for this fine distribution. I have become a Sidux fan and probably will stay that way for a long time. I love the SMXI update script and the Sidux kernel that makes Debian Sid stable. Thanks for a great review of a fine distribution. Another Ubuntu derivative you may want to check out is MoonOS (www.moonos.co.cc), a Cambodian derivative I believe. They have also innovated some neat tools and features, at least in the E17 version, and in my experience (on my old P4 1.6, anyway) showed significant boot time improvements over LMint6, comes with all the codecs and some pretty neat eye candy to boot. Nice blog, BTW, I’ve added it to my reading list. Thanks for the review. 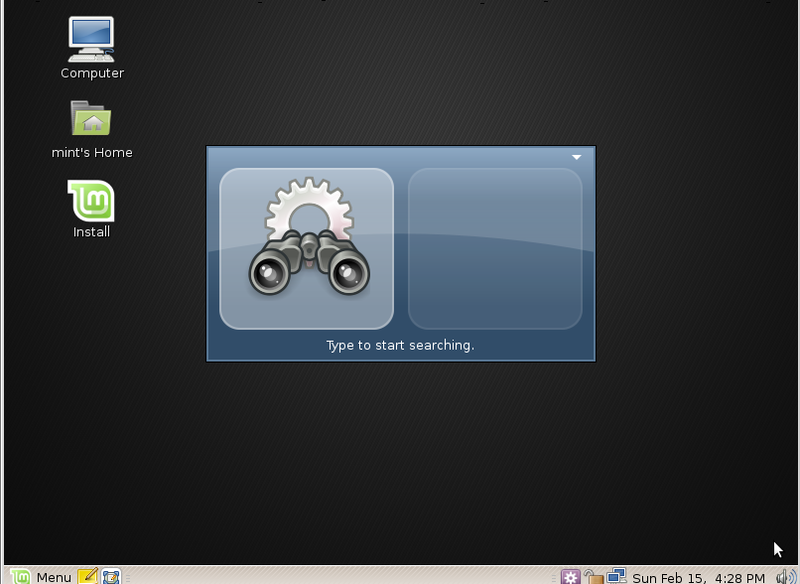 As a Debian user may well check Linux Mint out! Having tried at least 10 distros, THIS newb found exceeding joy with Elyssa (Mint 5) and total nirvana with Felicia. Mint could easily be the distro to convert M$ users. Mint is great. I have converted many MS users to the “dark side” never to return with Mint. But with the gnome WM only. But, Mint KDE is a no, no. Very s__l__o__w. I mean s l o w and sluggish. So sluggish that I could not even do a good evaluation. Think Sabayon on a Celeron w/ 256MB slow. I tried it on a dual processor workstation with 4GB RAM. Could not find an evaluation blog that had tried the KDE version, so I posted my thoughts here. The artwork is top notch, but it takes sometimes one minute to launch an application. Mint is one of the best, if not the best distro for newbs and advanced users alike. But the KDE version needs much work. Anyone have better luck ? For instance: how do nVidia-driver(s) install? I did quit Mepis, because it was not possible to install these video-drivers correctly it appeared. O.k. it’s could be my machine, but this has to be no biggy. (I have that ventilator-problem on the nVidia-card. I’m going to find out myself, so no problem. But try to give more detail please. I’ve been a *nix user for years and was a Gentoo user for a very long time. So it’s safe to say I’ve got a pretty decent “Geek” factor. Anyway I’ve been converting people over to Linux with Mint since the Bianca days. But when with Mint 5 Elyssa it pulled me away from my beloved Gentoo. 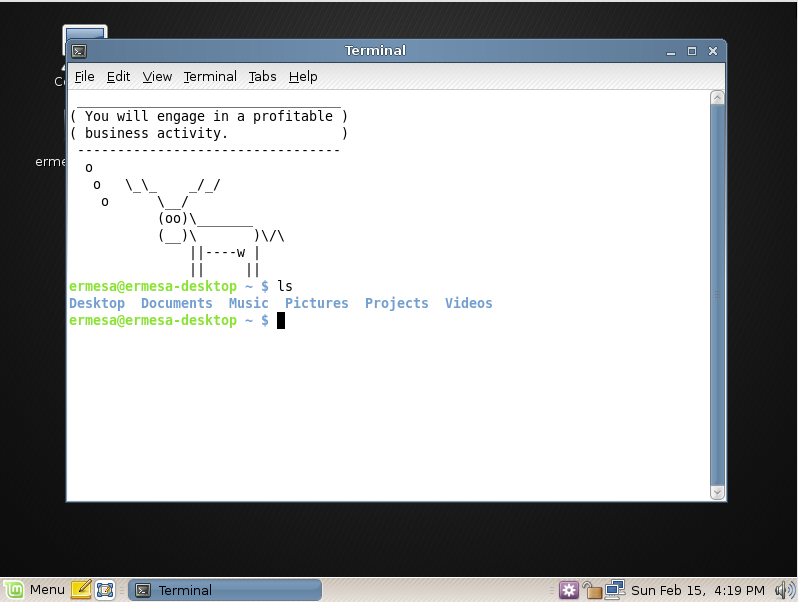 Now I still run Gentoo on my Web Servers but for my Desktops and Laptop I’m 100% Mint. I’ve been running Mint 7 Gloria, WOW is all I can say. Every release they out do themselves. I really don’t like Ubuntu at all but Linux Mint just gets it right. Thanks for adding that. 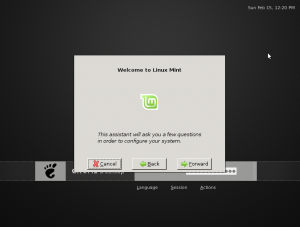 SO, you heard it from Marcus – Linux Mint – not just for newbs!